Oral and maxillofacial surgery requires additional years of hospital-based surgical and anesthesia training after graduation from dental school. As an oral and maxillofacial surgeon, Dr. Robles-Velez manages a wide variety of problems relating to the mouth, teeth and facial regions. Dr. Robles-Velez practices a full scope of oral and maxillofacial surgery with expertise ranging from dental implant surgery, wisdom tooth removal and pathology surgery. This also includes techniques designed to rebuild bone structure with minimal surgical intervention and optimal patient comfort. Our office can also diagnose and treat facial pain, facial injuries, and fractures. 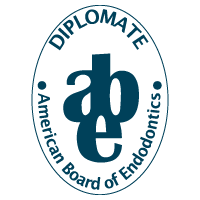 At Advanced Endodontics | Oral & Facial Specialists, we make every effort to provide you with the finest care and the most convenient financial options. We work hand-in-hand with you to maximize your insurance reimbursement for covered procedures. Please call if you have any questions or concerns regarding your initial visit -- our staff is well informed and here to assist you. When you call to make your initial appointment please provide your insurance information, and bring your insurance card with you so we can make copies of it and expedite reimbursement. Advanced Endodontics is in network with Delta Dental Premier, Aetna Dental and Cigna Dental. Advanced Oral & Facial Specialists is in network with Delta Dental Premier, Aetna Dental and Blue Cross Blue Shield Medical. Your initial appointment will consist of a consultation and necessary x-ray to explain your diagnosis and treatment options. Occasionally, treatment can be performed the same day as the consultation. However, a complex medical history or treatment plan may require an evaluation and a second appointment to provide treatment on another day. Your dental referral slip and a current ID. Request a current panoramic image from your general dentist or orthodontist. Our office is open 8 am - 5 pm Monday through Thursday, and 8 am - 1 pm on Fridays. We will schedule your appointment as promptly as possible. Please note – If you have pain or an emergency situation, we will make every attempt to see you that day if possible. We try our best to stay on schedule to minimize your wait. Our practice provides emergency services, and certain circumstances may lengthen the time allocated for your appointment. We appreciate your understanding and patience. We are required by applicable federal and state law to maintain the privacy of your information. We are also required to give you this Notice about our privacy practices, our legal duties, and your rights concerning your health information. We must follow the privacy practices that are described in the Notice while it is in effect. This Notice takes effect January 1, 2013, and will remain in effect until we replace it. For your convenience, we accept American Express, Visa, MasterCard and Discover. We also participate with Care Credit for patients who would like extended payment arrangements. You can visit their website at www.carecredit.com. We deliver the finest care at the most reasonable cost to our patients, therefore payment is due at the time service is rendered unless other arrangements have been made in advance. If you have questions regarding your account, please contact us at Advanced Oral & Facial Specialist, 803-226-9472. Many times, a simple telephone call can clear up any misunderstandings. For our patients with medical and dental insurance, we will file your medical and dental claims for you as a courtesy. Please be sure to read your policy so that you understand your coverage.